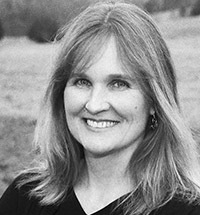 Laura Brodie is an author, professor, and mother of three daughters. 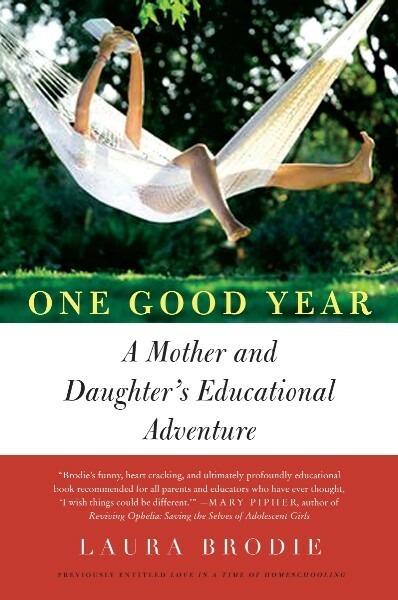 Her recent memoir, One Good Year: A Mother and Daughter's Educational Adventure (formerly titled Love in a Time of Homeschooling: A Mother and Daughter's Uncommon Year) (Harper), discusses public education and its discontents, and describes the emotional ups and downs of nine months when she gave her 10-year-old daughter a break from her public school routine. After graduating from Harvard University, Brodie completed a PhD in English at the University of Virginia, winning a Dissertation Fellowship from the American Association of University Women and a Woodrow Wilson Women's Studies Grant to explore the portrayal of widows in English literature. This dissertation would eventually form the basis for her first novel, The Widow's Season, which won the 2005 Faulkner-Wisdom prize for best novel-in-progress. Her first book, Breaking Out: VMI and the Coming of Women, was featured in the Washington Post and on the Dianne Rehm Show. The book covered the transition to coeducation at America's last all-male military institute. "Brodie's fine book explores both the failures of our modern educational systems and the possibilities of new ways to teach children to learn and to love to learn. Her story is funny, heart-cracking and ultimately profoundly educational. I recommend this book to all parents and educators who have ever thought, 'I wish things could be different.'" "After decades of immersion in the modern homeschooling movement, I am convinced that love is vital to its successful practice, an ingredient ignored by homeschooling's critics and even sometimes clouded in the consciousness of practitioners lost in a search for the perfect curriculum, textbook, or field trip. Laura Brodie shines a spotlight on love as an essential ingredient, creating a well-earned space on all homeschoolers' bookshelves and, optimistically, on the bookshelves of all parents." "The publication of an intelligent book on education outside of institutions is rare indeed, so I welcome this one. In a world where 'homeschooling' is so often misunderstood, discounted, and even ridiculed, Laura Brodie offers a clear-eyed view and makes a valuable contribution to the literature on the subject." "This touching glimpse into a mother-daughter relationship will inspire you to foster a love of learning no matter what your schooling choice may be." "The only thing worse than sending your child off on a bus each morning, might be keeping that child at home. But Laurie Brodie manages the feat with wit, wisdom, and love, and some hard knocks along the way. Her story gives hope that there is more to life than long division." "As a parent involved in homeschooling, I highly recommend this book. It's timely, beautifully written, and must reading for anyone who has ever wondered what homeschooling is all about -- and it would make a great gift for all your friends who think they know!"